In Fiji when you anchor off a village you should go ashore, make yourself known to the chief and he will welcome you to the village. The catch is he will only welcome you to the village if you come bearing a 1/3-1/2 kilo package of Yaqona, aka Kava. This needs to be appropriately bundled in newspaper (which is apparently read from front to back) and the long twirly sticks of Yaqona are tied together with a piece of ribbon. This tradition goes for Fijians and foreigners alike, and we found it a really nice way to experience the culture. Once the ceremony is finished you are part of the village and are allowed to walk through it, fish, swim, etc. 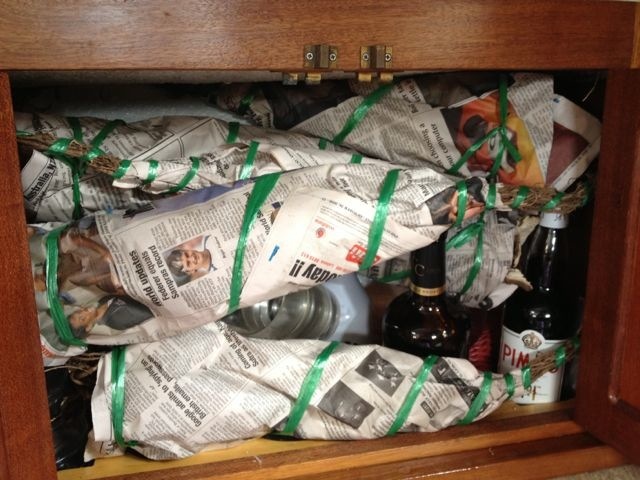 Here’s a picture of the liquor cabinet on Confederate stocked with Kava and ready for action. 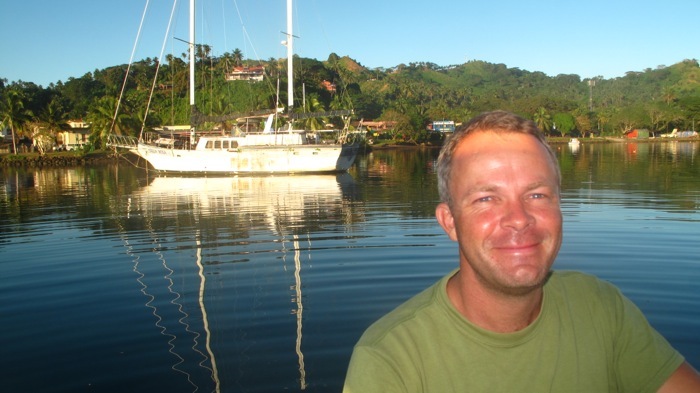 In Savusavu we caught up with a few boats we met in Tonga – Celtic castle and Toodles. We are loving the somewhat transient community we find ourselves in, and the instant respect for anyone we meet knowing that they have crossed an ocean to get where they are. All the moments we are sharing with people along the way are really special. We spent about a week with Kate and Gary (a fellow Kiwi couple) with some awesome convos over rum, fish, fiji golds, and a random yet fantastic meal in the thriving metropolis that is labassa. Tis a good chance to thnk everyone we’ve met so far for the good times and community spirity. Big shout outs to Trish and Dave off Halcyon 2 and Geoff and Sharon off Silhouette who we left behind in Tonga but loved spending time with you guys. We left Tonga to a pod of whales bidding us farewell, and arrived in Fiji to a pod of dolphins playing in the surf around us. No pictures – unfortunately we were a bit too excited of a) arriving in Fiji and b) being surrounded by jumping dolphins. 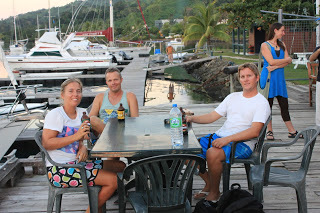 We checked into Savusavu after the 4 day trip feeling exhausted but at the same time invigorated. 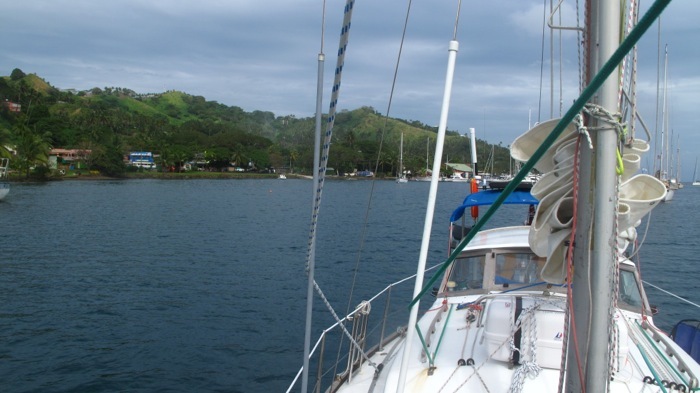 A trip out on the big blue can do that to you – part of you is so excited to see land, the other part of you wants to keep going to Vanuatu or wherever really. 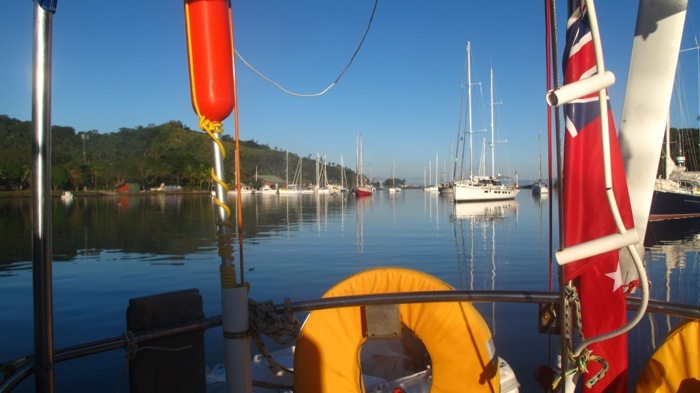 Here’s a few pictures of Savusavu in all it’s glory. An ocean passage is made up of a series of highs and lows. 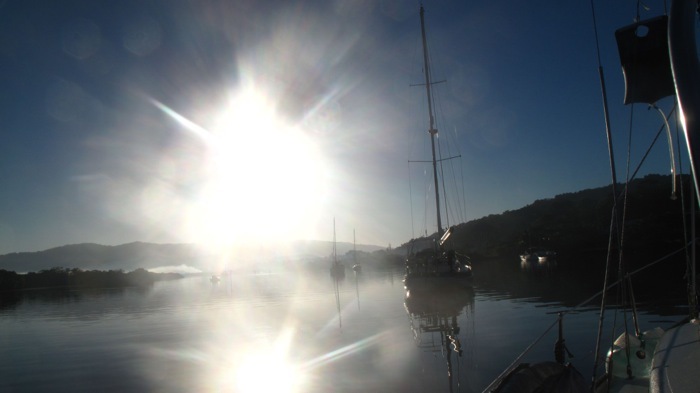 One day you are cruising in a gentle breeze, under moonlight, with whales spouting around you. The next you are in strong winds and picking the curry, that should have been a well deserved dinner, off the carpet. Confederate now smells like salt and curry leftovers. Good good.